This whole magazine thing is starting to become a full time gig. In the beginning when I was talking with Chris about the idea, he told me that producing one issue of a magazine is the same as writing a book. It’s true. People have asked me why I am starting by only publishing annually. It is perfectly understandable that folks that have never been involved in any publishing would be unaware of how time intensive this stuff is. Well, besides running the conservation practice that pays my bills, I am the editor in chief, marketing department, photographer, interviewer, contributing author, designer, customer service, and sales manager for an emerging internationally distributed magazine. It’s kind of like a lot of work or something. I have recruited some help. My good friend Brittnay has transcribed the audio recorded interviews. Recording the conversations this way enables the interviewee and I to chat casually and comfortably without the distraction of note taking. I think it pays off in the final product. I then have been sending these rough transcriptions (Brittnay’s not a woodworker) and rough drafts of articles to woodworker/writer Jim McConnell. Jim, trained and experienced in editorial work, has been working these articles through in a way I never would have been able to. The magazine will be so much better for having Jim on the team. After the manuscripts are cleaned up for review, I work through them to refine/cut content, etc. Then the files go to my copy editor, Megan Fitzpatrick. She makes sure everything is house style compliant and that the commas are in the right places and words are spelled correctly. Having such an awesome team working on this has fueled and inspired me in a way that never would have happened working on this by myself. But how am I going to keep furniture moving through my studio? Again, I’ll get by with a little help from my friends. I am starting to get studio help one day a week from a very good friend of mine. Mike helped me on the house project and I was so impressed with his careful hand and work ethic I invited him into my studio. 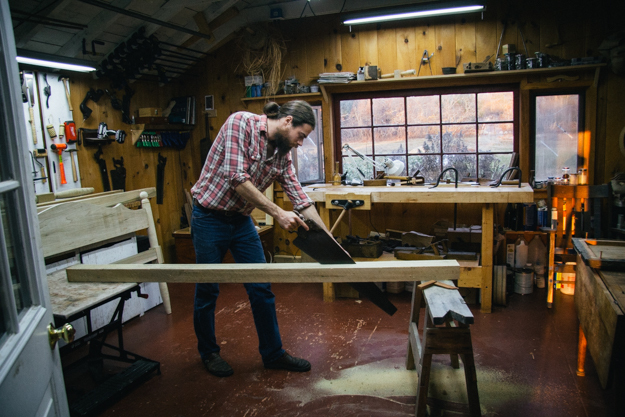 As a woodworker and boat varnisher with an enthusiasm for historic furniture, he’s got a great foundation for developing conservation skills. I’m really looking forward to working side by side with him. More on our collaboration later. Many late nights and early mornings lately have been consumed with producing this magazine. I will be dedicating the entire month of January to M&T in order to get the finished Issue One to the printer Feb. 1st. After that, I’m turning back to Fisher. Working on this magazine has been very instructive to me as I am writing this book about Jonathan Fisher’s furniture making. Through the many conversations I’ve had and the feedback I’ve gotten my vision for the Fisher book has been clarified. I feel like I am on a better track by focusing a little more on the craftsmanship of Fisher and less on the biographical backdrop. As strange as it sounds, launching M&T during this book writing process has actually been very good for the book. It will be better for it. The first week of pre-order opening has gone spectacularly. I’m blown away by the amount of enthusiasm for this publication. Honestly, when I first came up with this idea, I thought I'd have to figure out how I could convince a few of my friends to buy a copy. But as this thing has been developing and growing the past year there has been a good amount of buzz about it. 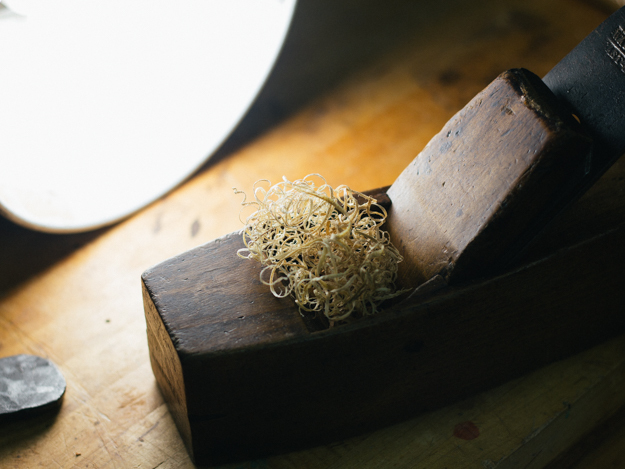 Popular Woodworking and Classic Hand Tools have been tweeting about it. Chris Schwarz, Tom Fidgen, George Walker, and Jim McConnell have been blogging about it. It’s been passed around Facebook quite a bit now. All in all, I am pretty overwhelmed by the response. It has been a long road to get to this point and I’m still in the thick of it for a while doing the nitty-gritty editing and designing. I will make sure you see this thing in your mailbox in February. A small handful of people have contacted me to tell me they’ve had issues not being able to sign up for pre-orders. Most of them followed up later and said it finally went through. I can’t say why that glitch happened but all I can tell you (as annoying as it sounds) is it’s a Paypal issue and not anything on my end. If you’ve tried and tried with no success feel free to shoot me an email at info@mortiseandtenonmag.com and we’ll see what we can do. I will be switching to a different (and better) storefront in the next few weeks so I’ll let you know when that is launched. There may even be a few new products to release. We’ll see if they arrive in time. This is the seventh and last part of a seven day series leading up to the tomorrow's opening of pre-orders for Mortise & Tenon Magazine Issue One. Each day I’ve been discussing one tenet of the Mortise & Tenon Manifesto. 7. M&T is a celebration of historic furniture. 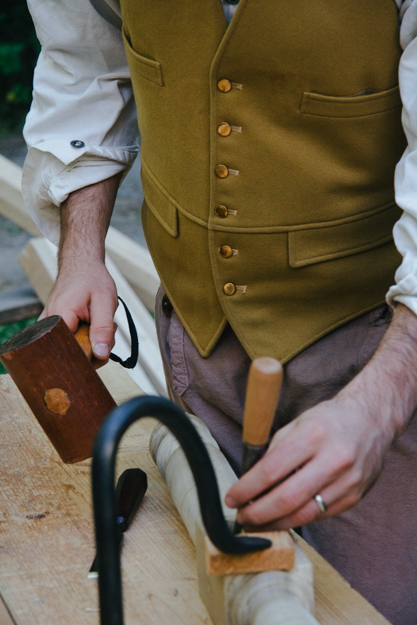 We believe that reveling in historic workmanship is an important way to honor the past. 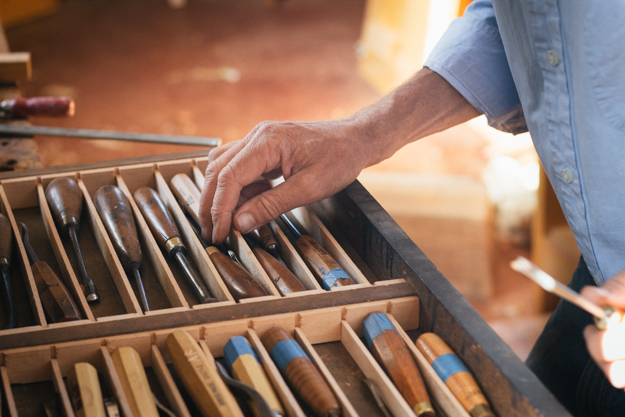 Although there is an astonishing variety of wood craftsmanship produced today, our passion remains singular: Without apology we celebrate the wisdom, skill, and ingenuity of our woodworking forefathers. It’s easy to get sucked into our culture’s solipsistic approach to creative endeavor. When new woodworkers approach the craft as if they existed in a vacuum, I can’t help but scratch my head. What these folks are missing is that over thousands of years craft knowledge was developed and passed on through apprentices so that as they continued on in their life’s work they carried with them the wisdom of all those that came before. 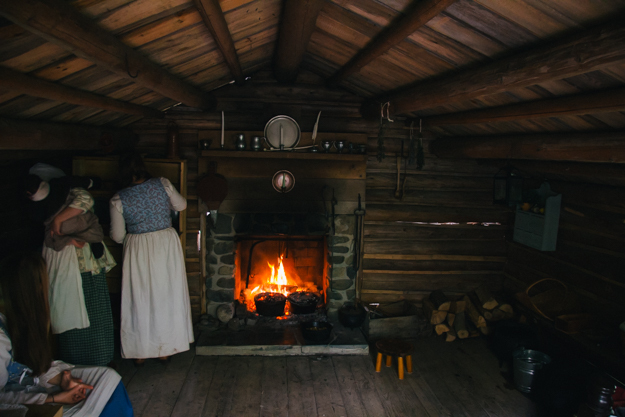 It was through the work of skilled hands that this knowledge survived and it wasn’t until the Industrial Revolution that it would be any different. In the 19th century, when these skilled artisans began to be replaced with machine operators, thousands of years of craft knowledge became endangered. Today there is a misguided assumption that if a certain way of doing things is “old” then it must be slower, less effective, and hard. As I’ve already discussed, the rise of machinery was not because an individual craftsman thought planing a board was arduous. Machines are for quantity. 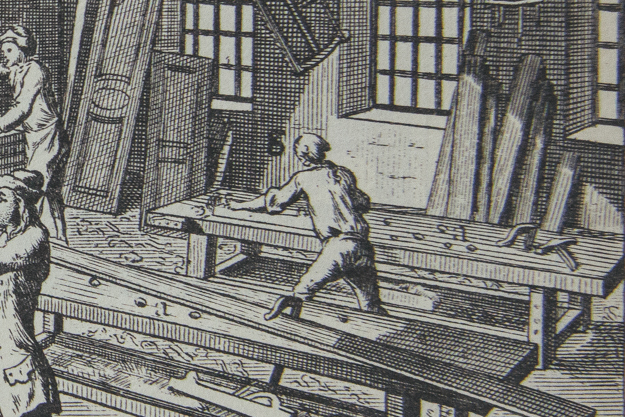 Building furniture “by hand” was abandoned because the values of high quantity production drove technological innovation. 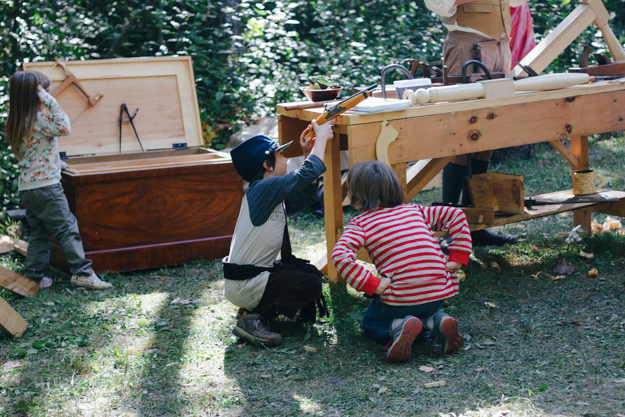 Do you, maker, share that objective with the Industrial Revolution? Are you planning on making 1,000 of the same table? But I’ve gotta ask: What if the “old” ways were put away for reasons that aren’t valid in your case? What if you aren’t a factory? 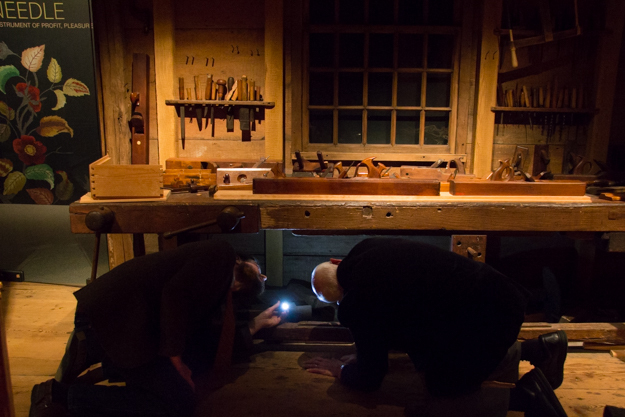 M&T is a place to discuss the roots of our furniture making heritage. As we engage with our past, we find that there is nothing new under the sun and that the same problems we encounter have been conquered by countless artisans before us. We aren’t going to progress with our fingers in our ears. I don’t care what style of furniture you make, this applies to you. A table is a table. A chair will always be a chair. 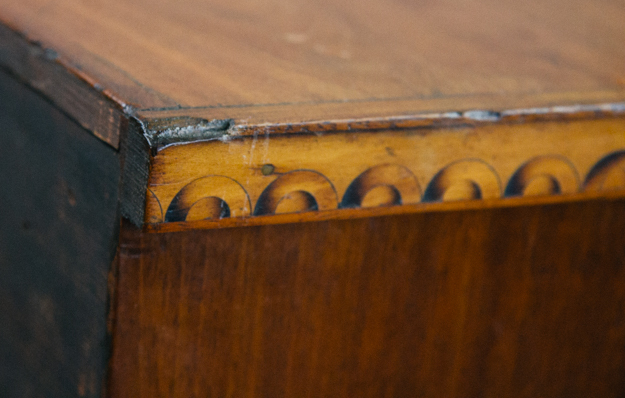 Stylistic detail is merely embellishment and you can take it or leave it. But studying historic furniture keeps us grounded makers and only when our roots are deep into the tradition of our trade can we build on the wisdom of the generations that came before us. 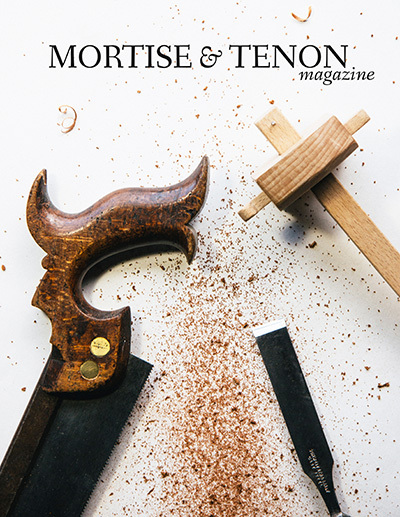 At midnight tonight, I am opening US pre-orders for Mortise & Tenon Magazine Issue One. To order, go to the “Purchase” page of our website where there will be a “Pre-order Now” button. More info about Issue One can found there now. Some of our international stockists have decided to take pre-orders as well. 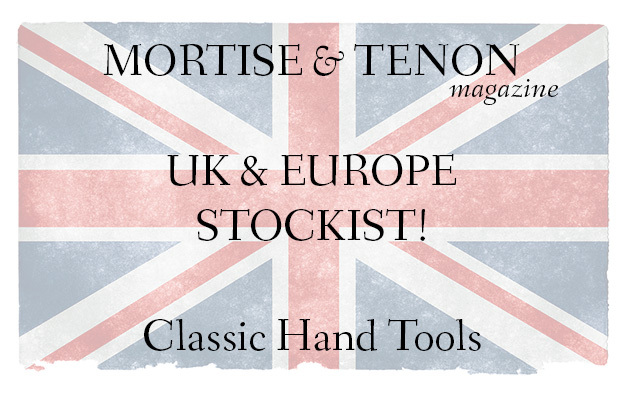 Classic Hand Tools will be taking pre-orders for the UK and Europe starting tomorrow. The Wood Works will be taking orders tomorrow for Australia as well. For Canadians, Lee Valley will be ready in a week or two. I’ll know that exact date soon. Tomorrow has felt like a long time coming but it was only a year ago that I had my first conversation with Chris Schwarz about the idea. I consulted with a lot of encouraging and helpful people which had different experiences and expertise to bring to the table. Only some people told me I was crazy for going the print route. I don’t care. The whole concept of what Mortise & Tenon is trying to do is to too tactile and too weighty to be emailed to readers as a bunch of pixels. I think the value of holding this publication in your hand, far exceeds the extra expense it takes to produce it. 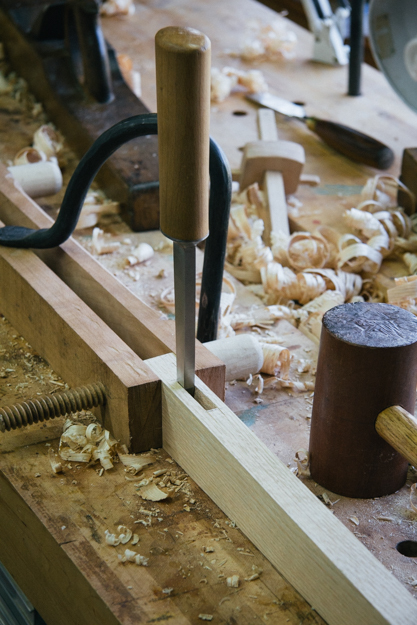 Mortise & Tenon is not meant to be skimmed on your iPhone during your lunch break. It’s designed to provide a respite when you get home. It’s reading for after the kids are in bed and you have your beer poured. It’s meant to be digested and thought through. Check back tomorrow… we’re taking orders. This is Part Five of a seven day series leading up to the official December 1st opening of pre-orders for Mortise & Tenon Magazine Issue One. Each day I’m discussing one tenet of the Mortise & Tenon Manifesto. 5. M&T honors cultural heritage. 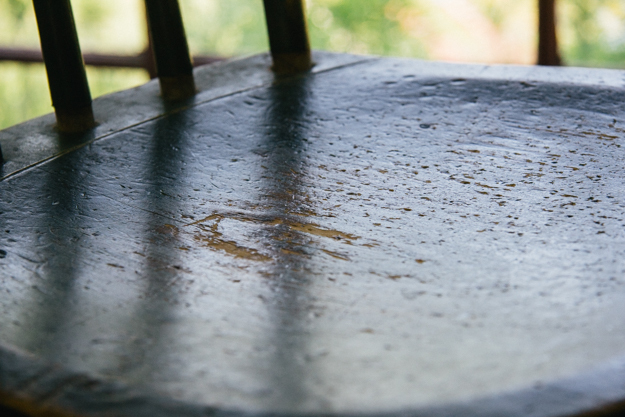 We believe that patina makes an object more beautiful. We agree with David Pye that “the effects of age and wear are powerful diversifying agents”. And because historic artifacts are representations of the life and values of our ancestors, patina is cherished as a document of the past just as much as the piece’s original construction. The license plate on my work van reads “PATINA”. I never was one for vanity plates but a few years ago I decided to give it a shot. I occasionally get folks looking at the plate who ask, “Patina? Who is she? Is that your wife?” I jokingly tell my friends that if people don’t understand the license plate, I probably won’t end up doing work for them. 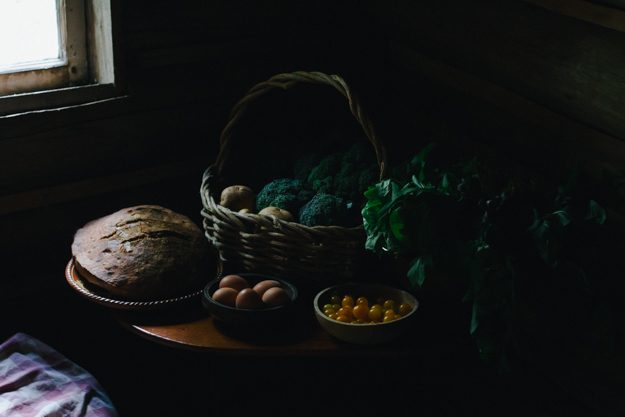 Among antiquarians, the natural wear and tear and grime and soiling from 200 years of honest use is something unanimously understood and cherished. There is something almost mysterious about seeing the “fingerprints” of multiple generations’ daily life scrawled across the surface of an artifact. It transports us into the past. 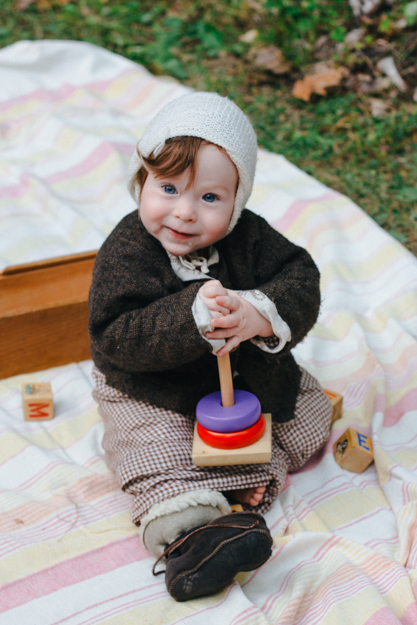 We feel a real connection to those that have lived before us as we live with and use the same object. This is sometimes called the “associative value” because, through the object, we associate with our ancestors. 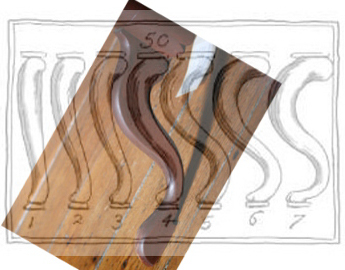 Conservators are keen to this concept and that is exactly why “patina” is often retained. 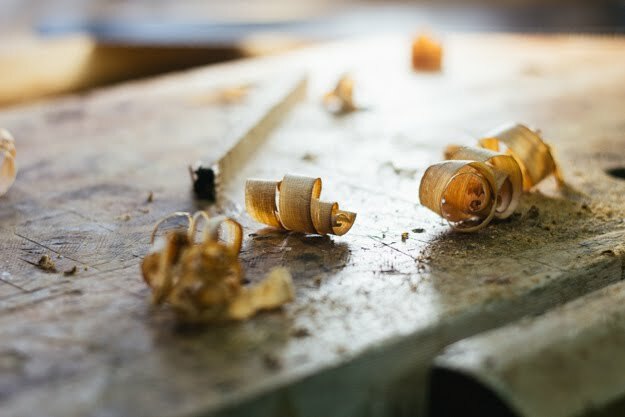 Removing finishes, sanding raw wood, and replacing original components are all subtractive processes that must be very carefully considered before performing. No matter how many dings and layers of glaze you apply, they will never be authentic marks of use. Removing original material from historic objects obliterates the evidence of the piece’s “life”. And once it has been erased, it is gone forever. I think that this associative value, at least at some level, is the foundation for the beauty attributed to patina. Pye has explained that patina breaks up the visual monotony of an unused surface and thereby aesthetically enhances it. But when is dirt just dirt? When does an artifact “need” to be cleaned? The answer to this question lies not within objective tablets of stone that govern every scenario. The question is satisfied only by assessing the values the object actually does have. Is it truly a historic artifact or is it just a comfortable seat? Does this object still retain utilitarian value or after 300 years, has its “usefulness” been eclipsed by its research or historic education value? The way I see it, the locus of the conservation mission is to preserve or restore the most significant values an object does actually have. Historic artifacts are preserved for research and museum display (or private collection) and common forms are preserved for daily use. M&T honors our cultural heritage. One of the distinctive missions of this publication is to educate readers about the importance and value of preserving historic furniture. 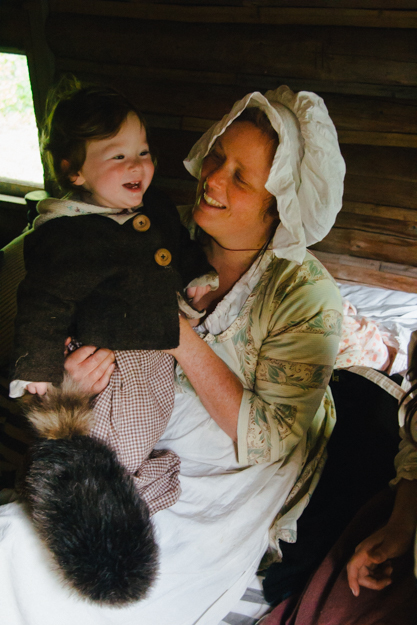 The M&T vision is to deepen appreciation of the creative work of our ancestors. Surviving artifacts are all we have of them and without careful stewardship of these “documents” of the past, the voices and fingerprints of our ancestors will be erased forever. This is Part Four of a seven day series leading up to the official December 1st opening of pre-orders for Mortise & Tenon Magazine Issue One. Each day I’m discussing one tenet of the Mortise & Tenon Manifesto. 4. M&T honors original construction. We believe reproducing original characteristics such as coarseness of secondary components, irregularity of dimensions, and occasional expeditious joining/fastening methods is appropriate and honoring to original artistic achievement. It has always been surprising to me how disparaging some furniture makers can be about the perceived deficiency of “quality” in other’s work. Whenever I hear comments about the incompetence of another maker because of aesthetic or construction choices I feel a bit disheartened. This attitude of superiority leaves a bad taste in my mouth because I began working wood out of a curiosity and passion. I simply enjoyed the process and loved the satisfaction of completing a tangible project. I wasn’t trying to outdo or outsmart anyone. I just loved woodworking. Now you’re only getting paid for a few days labor to produce this chest of drawers (because frugality is not a modern invention). How are you going to build this object in a way that satisfies the client’s conflicting demands? Because every client and every maker were different the answer varied, of course. What is consistent, however, is that not much time was spent beautifying the areas never seen. It’s the same reason people today slap plywood on the back: It’s easy and “no one’s ever going to be looking at it anyway”. Period work is workmanlike, not precious. Flexibility with the dimensions of stock, coarseness of undersides, “flat” only in the loosest sense of the word… all that stuff was par for the course. But I’ve covered this territory the other day in Tenet Two so refer to that discussion for further thoughts. But what does today’s maker do with fasteners or glue blocks originally restraining a wide board? We all know that the wider the board, the more the movement and the more likely the chance of splits at points of fastening. 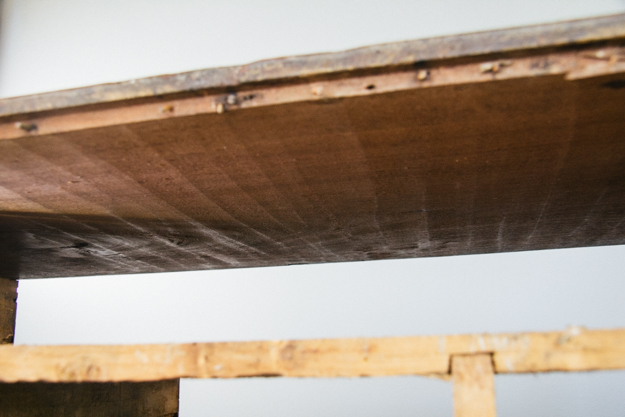 Most period furniture makers I know will alter the method of attachment (i.e. tabletop buttons) to allow for seasonal movement. I understand the concern and can appreciate a maker’s concession to avoid splitting. For my part, I prefer to go with what was original. The panel may crack a little but as they say here in Maine, “it won’t bother”. It’s normal to see modest splits on the sides of period casework and I cannot for the life of me think of any real issue with it. I always tell folks that if they’re seriously concerned about minor warpage, splits, or seasonal movement, they shouldn’t be using wood. M&T appreciates historical precedent. There is so much published out there emphasizing modern concession that I wanted to hear (and experience firsthand) the other side of things. 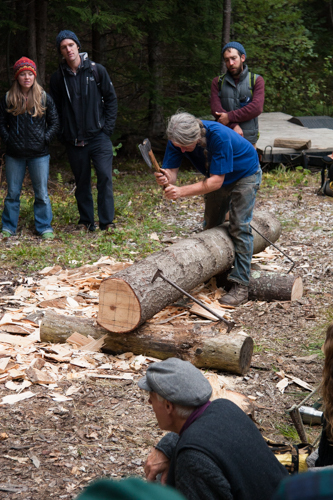 Working wood by hand alone demands a different mentality. You just can’t be concerned about leaving rough work on unseen surfaces. Tools marks testify to that value of efficiency. To say it in a more romantic way, the tool marks left behind highlight the honest interaction between man, steel, and wood. It’s the kind of interaction you don’t get in an office cubicle. It’s something real and earthy. This is Part Three of a seven day series as a lead up to the official December 1st opening of pre-orders for Mortise & Tenon Magazine Issue One. Each day I’m discussing one tenet of the Mortise & Tenon Manifesto. 3. M&T is dedicated to hands-on research. 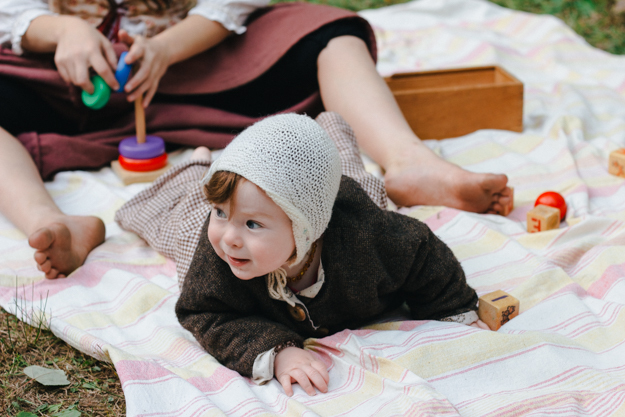 We believe working with authentic methods is the best way to do historical research because it allows the maker to stand in the shoes of the original artisan. Insights are gained through this “shop based research” more readily than by ordinary examination because the natural constraints of working by hand allow the maker to discern the logic behind original construction choices. 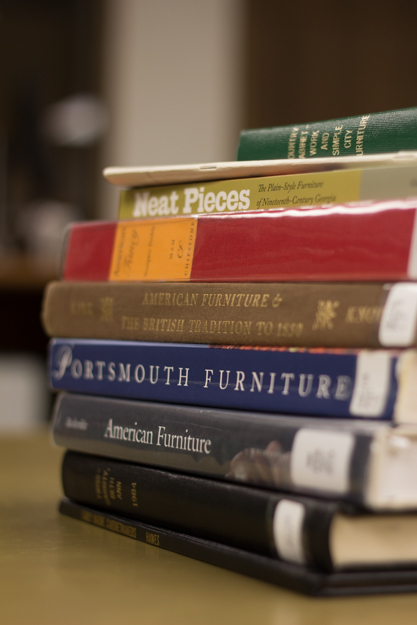 There are so many ways to study period furniture. 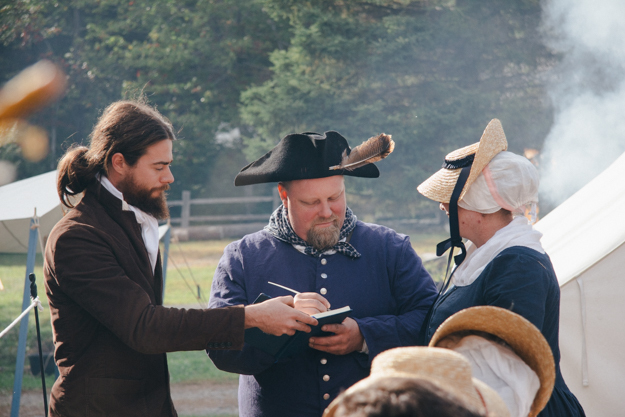 By exploring documentary evidence, tracing genealogical lineage, and examining the object itself, we can potentially determine quite a bit about a piece. Nine times out of ten, what scholars are after in that kind of research are the names of the maker and original owner. But that doesn’t say much about the characteristics of the object itself. 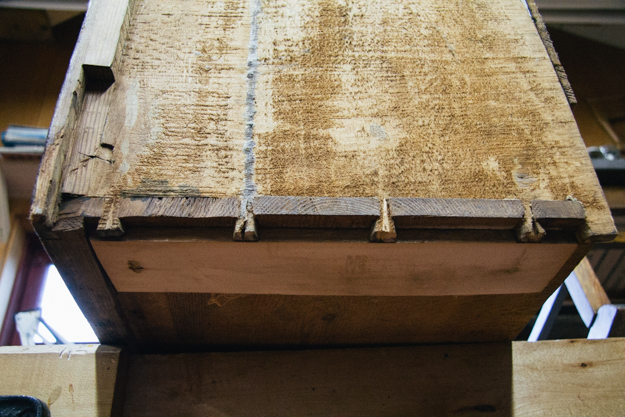 These protruding wedged pins in this dovetail joint are an interesting Germanic construction method. 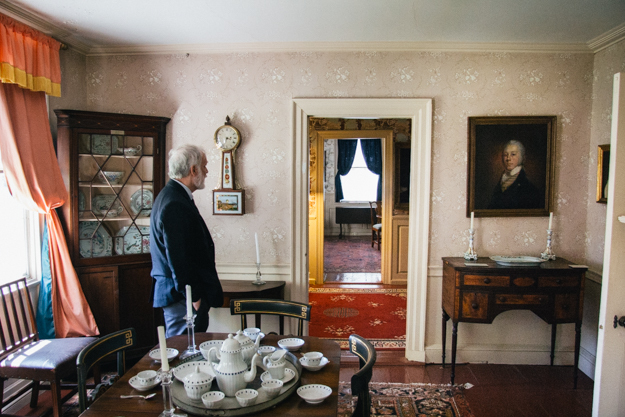 This principal works at two levels: it works for object-specific study and it works for period craftsmanship in general. As I discussed in yesterday’s post, working wood “by hand” is a completely different animal. I don’t care if you’ve worked in a high-tech cabinet shop your whole life. 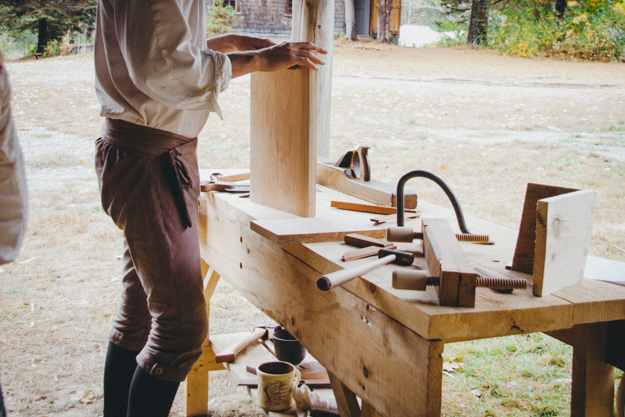 If you’ve never chopped all the mortises for a piece or resawed your stock with a handsaw, you are going to have a hard time comprehending what the original maker went through to produce the piece. But it’s not always about learning “how hard” it was. I was surprised to discover that many of these tasks are not nearly as arduous or difficult as they were made out to be. You learn which operations take the most time and then search for ways to expedite them. When you constrain yourself to the tools available to the artisans of yesterday, more often than not, your solutions were their solutions. Those are the epiphany moments. This research methodology does not supplant traditional documentary and genealogical investigation but should be seen as a compliment. It is the conviction of M&T that this kind of research should be explored in deeper ways. 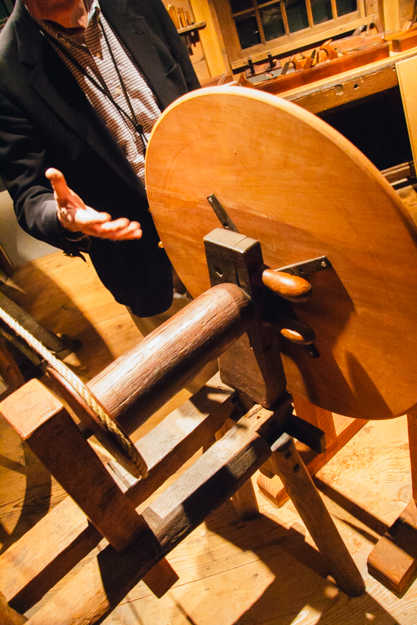 We want woodworkers around the country to engage in this kind of historical study. This is an invitation to experiment with us. 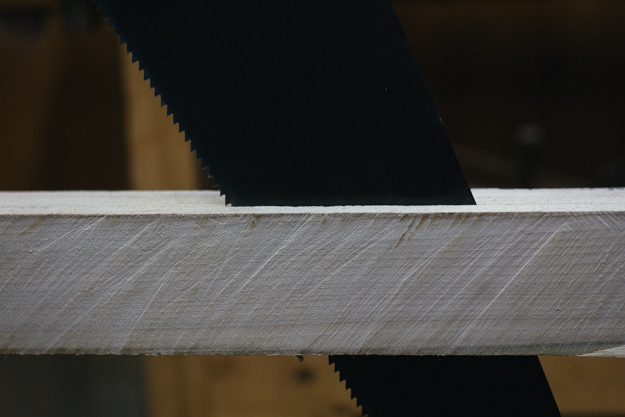 Throw out your digital calipers, dust off that foreplane, and sharpen your handsaw: Let’s do some research. This is Part Two of a seven day series leading up to the official December 1st opening of pre-orders for Mortise & Tenon Magazine Issue One. Each day I’m discussing one tenet of the Mortise & Tenon Manifesto. 2. 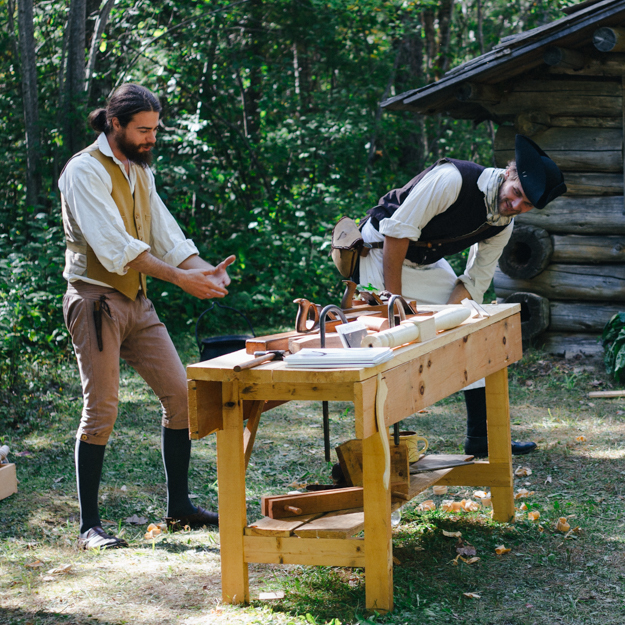 M&T celebrates pre-industrial methods. We believe that authentic reproductions are best created with authentic tools and methodology. While powered mechanization is more economical for quantity production, we believe working wood “by hand” is both efficient and viable when building single objects. 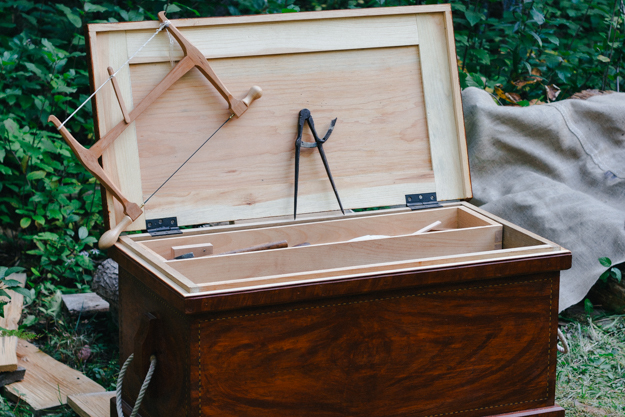 Because the vast majority of furniture makers are not direct competition with factories, we believe there is much for us to learn from pre-industrial methods. 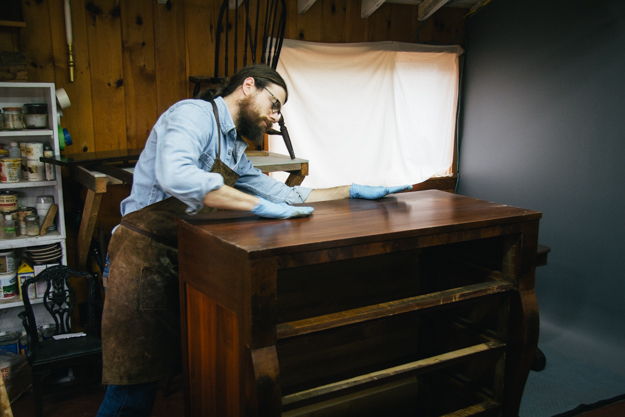 Hear me out: I know that the vast majority of furniture makers today use machinery at least for stock prep. It doesn’t offend me. I can appreciate the labor saving and precision that planers, jointers, and tablesaws offer folks. When I make furniture, however, I have decided to reproduce not only the furniture, but the methods used to make it in the first place. And this is not just purist snobbery. I am on this path based on a conviction that we have a lot to learn from rediscovering historic methods. I believe the mechanization of furniture production during the Industrial Revolution created an unprecedented norm for workmanship. Because it was easy for a machine to smooth the wood on all four sides while thicknessing, the standard of surface refinement has changed. Consequently, when a new woodworker today entertains the idea of using hand tools they walk into it thinking, “Oh wow. All that planing and sawing to get the stock to size must take forever!” And it would. If you are trying to build furniture like a machine with hand tools, you’re insane. The amount of work and agonizing precision in making sure every single member is perfectly dimensioned exactly the same is enough to make a guy batty. 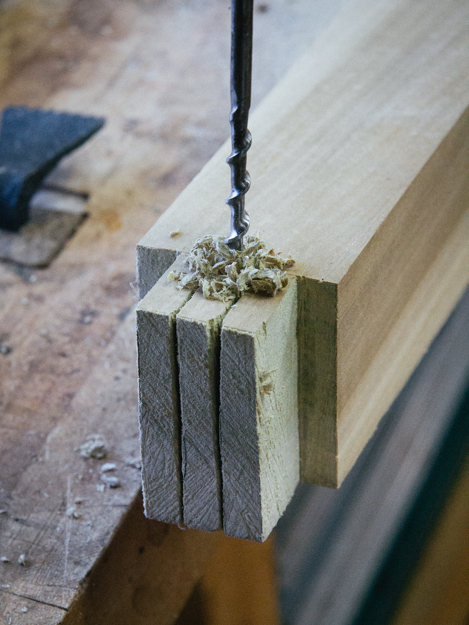 The truth is you don’t need four square sides to make tight joints. In most components, all you need is one flat reference face and one edge square to that face. The bottom and back side can be hatchet marks for all we care. Sometimes it is. (Lest you think I am talking about merely poorly executed “country” furniture or rustic-chic reclaimed pallet pieces, I’m not. The finest and most elegant high-style museum pieces have backs, bottoms, and insides that would make you choke.) Putting the effort where it mattered and ignoring the areas it didn’t is how they built efficiently. Examining piece after piece coming through my conservation studio as well as personal examination of objects in major collections has confirmed in my mind that this economy of labor was a universal value. For me, this realization was revelatory. Suddenly, I felt like I could do it the way they did it, in an attainable amount of time, and end up with a product that looked just like the originals. win-win-win! 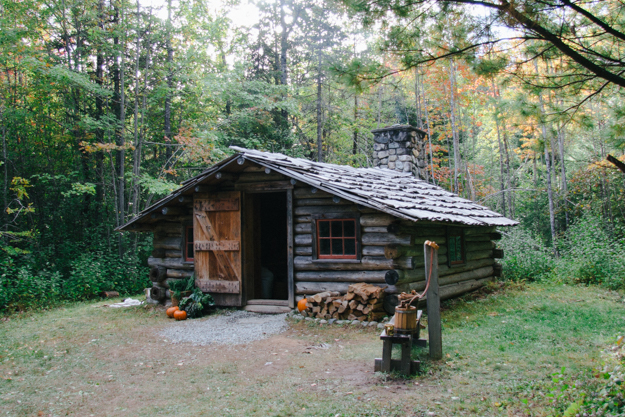 This historical approach to building efficiently by hand is liberating enough to make you put your tablesaw on Craigslist. To clarify, Mortise & Tenon Magazine is not unaware of the fact that many of the contributors utilize power tools in their stock prep. What’s unique about this publication, however, is that machinery will not be a highlighted aspect. We will not have articles on how to gang cut tenons on a new tablesaw jig and there are no “must have” router bit articles here. 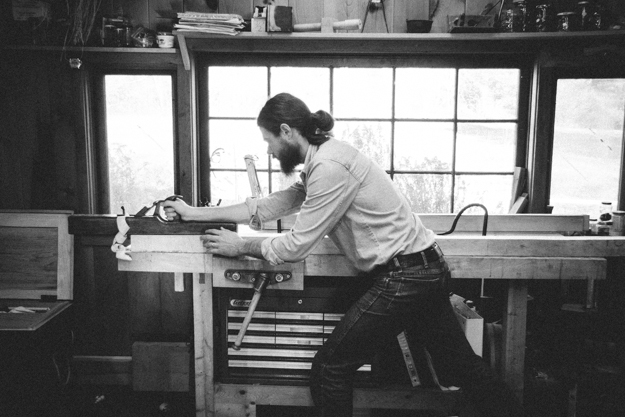 The emphasis of M&T is an unabashed celebration of pre-industrial woodworking. 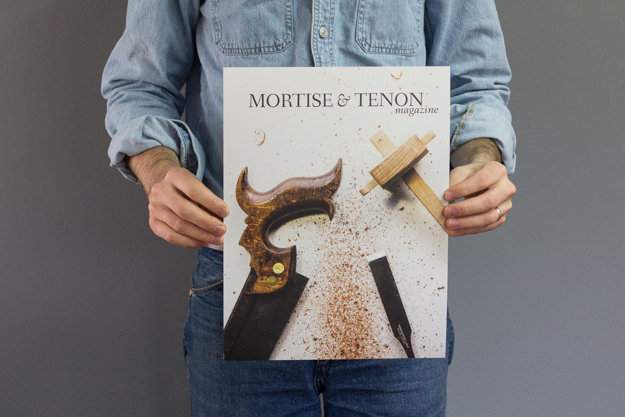 In exactly one week on December 1st pre-orders will open for Mortise & Tenon Magazine Issue One. 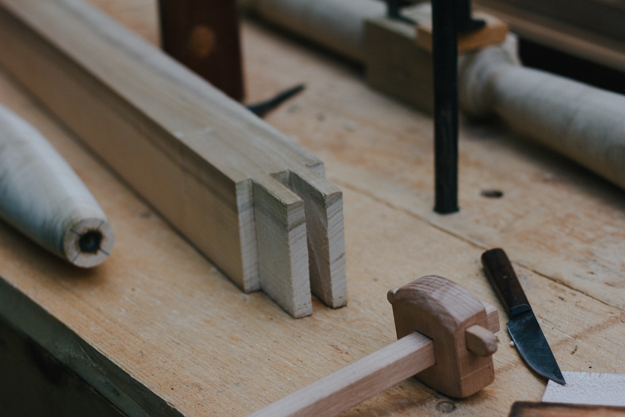 The first of the articles featured in Issue One is an essay revolving around a Mortise & Tenon manifesto. As I was working out the important points, pages of thoughts emerged. I worked and re-worked my disjointed notes down to what seemed like a manageable and honest representation of this distinctive vision. It turned out to be seven simple statements each with a brief sentence or two description. It is the heartbeat of Mortise & Tenon Magazine. 1. M&T is neither elitist nor pedestrian. We believe that featuring both high style masterpieces as well as simple vernacular furniture accurately represents the work of the pre-industrial cabinet/chair maker. 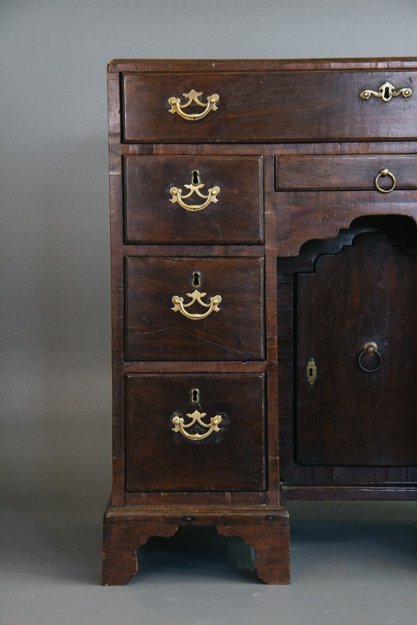 When most woodworkers hear the term “period furniture” their mind immediately goes to a sumptuously carved Philadelphia cartouche or perhaps an intricate federal inlay motif. The notion that elaborate ornamentation is one of the essential components of period work is not only restrictive, but frankly, it’s ahistorical. It is common knowledge among furniture buffs that the high-style masterpieces showcased in major museums today were once the exorbitant commissions of the urban elite. These examples survive precisely because they were exceptional. 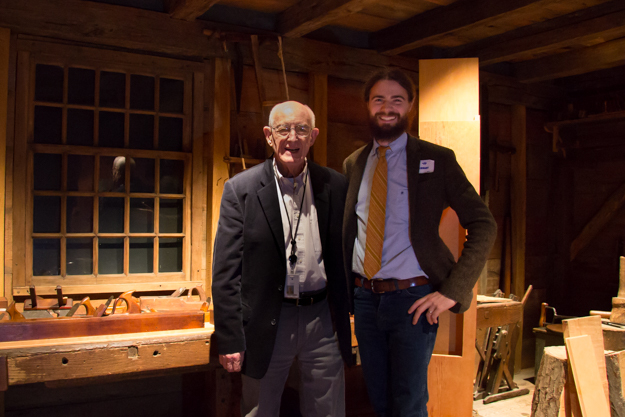 They are a tremendous source of inspiration to woodworkers and non-woodworkers alike and should be celebrated for the artistic achievement they proclaim. But it was not the furniture of the 99%. In contrast, the vast majority of furniture produced by pre-industrial artisans reflected the economic constraints of their neighbors. 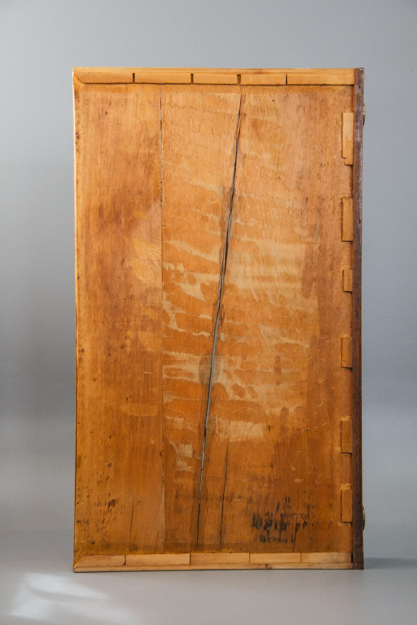 These pieces were generally free of carving and inlay, were made of readily available domestic woods, and often exhibited simple clean lines. In my opinion, these pieces are too often dubbed with pejoratives like “country” or “vernacular” and are not given the time of day. But I object. Not all consumers have the same taste. Some regions simply preferred the plain and understated. Beyond that I think that it’s important to acknowledge that all these pieces are constructed the exact same and it takes no less skill to cut tenons in pine than in mahogany. The difference is in the embellishments. Mortise & Tenon Magazine is determined to acknowledge both the glory of the high-style and the approachability of the vernacular. It is a shame that these two strains have been separated as if they were not born of the same seed. Only when they are brought together does the full picture of the pre-industrial furniture maker come into view. I’m determined to make that happen. Let this be a place where the twain shall meet again. On December 1st, the “Purchase” page on my website will be setup to take US pre-orders. You will see a “Pre-order now” button as clear as day. If you want to order, you’ll have no problems finding it. The cover price is $24.00 and all pre-orders will have free shipping. For a 150 page high-quality thick paper independent publication with no ads, I’d say that’s pretty good. If you don’t see your country on the list, please contact your favorite woodworking supplier and let them know you want them to carry Mortise & Tenon in their store. Retailers respond to customer requests. Whether these stockists will take pre-orders or not is up to them. What’s the cut-off date for Sponsorship inquiries? Our list of sponsors is growing by leaps and bounds. If you’ve been meaning to inquire about sponsorship, you have until January 1st. After that, you'll have to wait until Issue Two. For inquires, email us at sponsorships [at] mortiseandtenonmag.com. At long last, after months and months of answering inquiries about the pre-order date, I am here to announce that pre-orders for Mortise & Tenon Magazine will be open starting December 1st. The delivery time is expected to be in February. All pre-orders will receive free shipping. 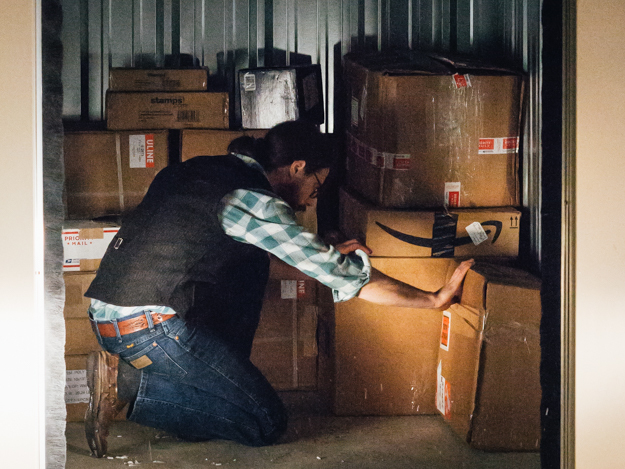 After printing, shipping is on you. The above video serves as a sneak peak into the vision and goals behind the publication. It obviously doesn’t say everything but is merely a “teaser”. Many of you have expressed interest in promoting M&T to your readers/followers/friends and I finally have the medium in which to do that best. If you were willing to share this video with your contacts, I would be immensely grateful. As you know, in a niche world, honest word of mouth is the most powerful way to support an emerging venture like this one. The response already has been overwhelming and exciting. Thank you for spreading the word. 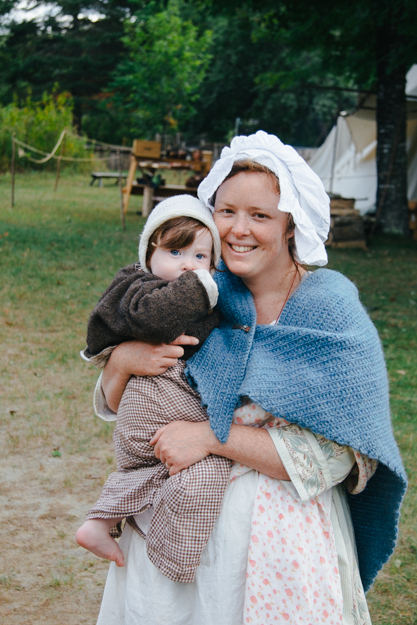 This past weekend we went up to the Leonard’s Mills Living History Days. The visitor traffic was better than it has been in years. Lots of folks with lots of questions. Totally fun. This year was nice because although the week’s forecast has been calling for rain both days, it shifted away as we got closer to Friday. It turned out to be beautifully clear and crisp. Just like a good Fall ought to be. 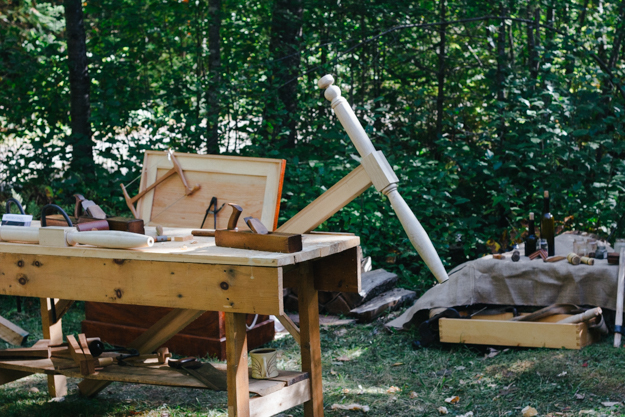 Because of the favorable weather I was able to set up my bench and tool chest outside of our “settler’s cabin”. On rainy years, I’ve had to find a roof to work under somewhere. This was Asher’s first year so he got a lot of attention. (What else is new?) Eden was on adventures all weekend with his gracious friend, Ben. 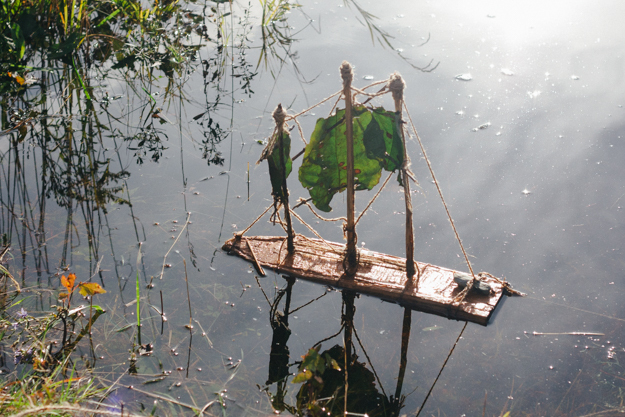 They made fires, carved a boat, and somehow time warped across the bridge into the Civil War camp. 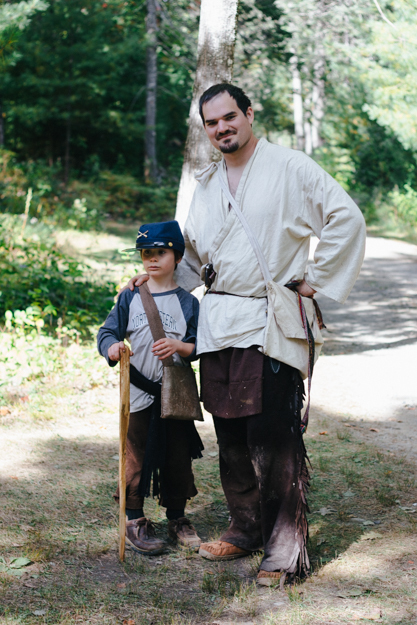 Eden promptly lost the 1790s paraphernalia for a keppi and a rifle. They warned me that kids grow up fast but… 70 years just like that? And it seemed only like yesterday. Ah well. I worked all weekend on a commissioned rope bed that’s long overdue. 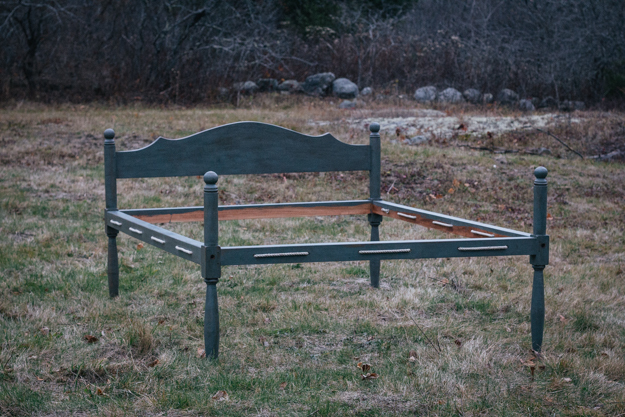 I decided this bed would get double tenons for the rails so I got to demonstrate cutting those both days. All went together smooth and I was able to use the project as a launching point for other discussion on period workmanship. At three o’clock each day we did an 18th century wedding service. The couple who organized this thing asked me to officiate. They compiled the sermon from 18th century texts so basically all I had to do was read the manuscript. We don’t do that every year so I appreciated being asked to participate. This event is such an important tradition for our family. It’s like camping, only better. We look forward to it all year long. If you can swing it, I really recommend you join us next year. It’s a total blast. 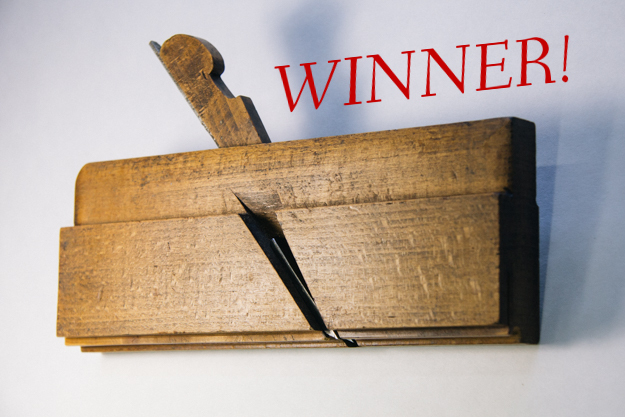 This morning the 3/8” beading plane giveaway contest is over. There were again a bunch of really great answers out there on Instagram and here on the blog. So many different facets to the issue were addressed. 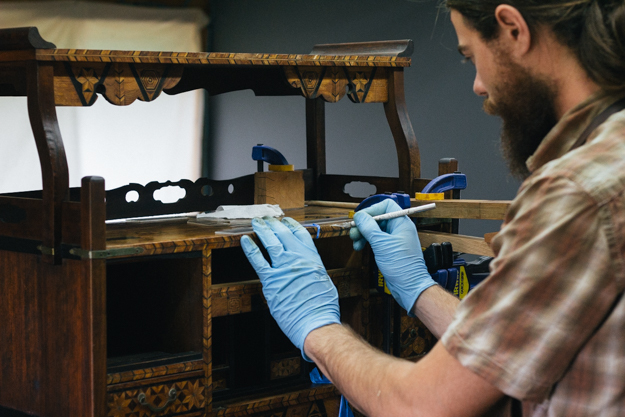 Why do you believe celebrating historic furniture making by studying and recreating it is important for both woodworkers and the broader culture today? Chris Hammerbach told us how we “discover that while the lives of our ancestors were different, their minds and hearts were much the same” which was aptly summarized by what @ericwrightdotgif described as “humans being human”. Overarching all this is the idea that “most people live in the hope that they will leave something greater than themselves behind” (@sledgehamner). Congratulations, David. You’ve nailed it. Send me an email with your info and I’ll get drop this plane in the mail! Thank you to all who entered. What fun!